Sorry the Door knock appeal was held on the 28/29th May 2016 and the dates for 2017 won't be advised until March/April 2017. However it is usually held on the last weekend of May each year. But don't let that stop you Volunteering early.To do so see Volunteers link at the bottom of the page. Our Club records indicate that the Rotary Club of Engadine has been supporting the Local Salvation Army corps with its annual Red Shield Door Knock Appeal since 1985 and possibly before that date.With the demise of the Engadine Salvation Army Corp, the organisation for the local appeal has come under the control of the Regional Group . The distribution of the Collectors kits and return of monies collected is now undertaken at the Engadine High School. 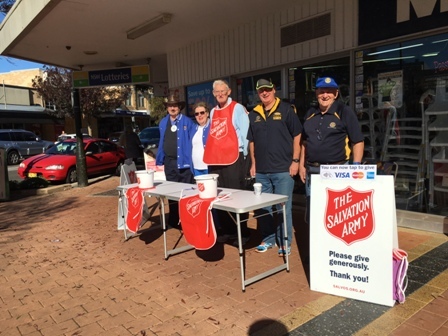 In May 2016, we continued with this assistance by arranging the collection areas and collection teams and administration activities on the Door-knock day.Through Past President Peter Ashton, as Our Club Salvation Army Coordinator, Rotarians again answered the call for assistance for the appeal by carrying out many of the above tasks. While last year's Door knock was down on volunteers, the appeal almost reached the area's target and was nonetheless, a very commendable effort on the part of all concerned. The Salvation Army has asked that its heartfelt thanks be passed onto the many volunteers, in particular the Rural Bush Fire Brigades and students from the local schools. Finally the Red Shield Appeal, thanks the many people in the Engadine zone who opened their hearts and pockets towards helping those in need and to allow the Salvation Army to continue with its many humanitarian programs. Rotary extends its thanks to Engadine High School for the use of their school hall for the assembly of collectors and distribution of collectors bags etc. 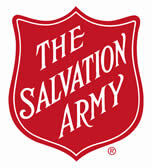 Please note that, while Rotary supports the Salvos on the day, it no longer organises the Volunteer collectors.